WEDNESDAY, Aug. 8, 2018 -- A Somali-American child in Minnesota has been diagnosed with the measles after returning from a trip to Africa, state health officials said Tuesday, adding that the unidentified 5-year-old in Hennepin County was not vaccinated, the Minneapolis Star Tribune reported. 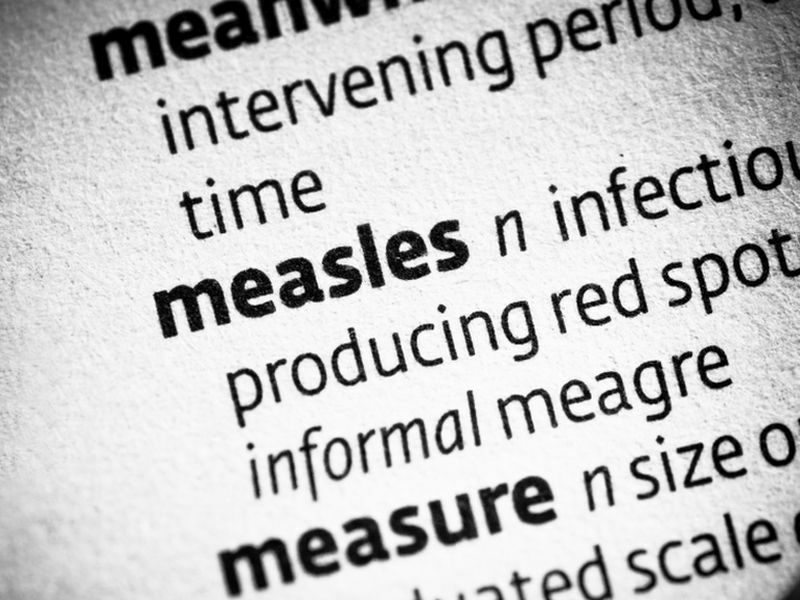 A 2017 measles outbreak in Minnesota infected 75 children and adults, the largest such outbreak in the state in about three decades. Most of the patients were Somali-Americans in Hennepin County who had not been vaccinated against the highly contagious disease. Measles vaccination rates in that community are about half the statewide rate, according to health officials. In the 2017 outbreak, the first case went undetected for about two weeks, but this new case was caught fairly early. The child was infectious for about eight days, beginning July 30, health officials said. The child was hospitalized and released. Patients and staff at a medical clinic and hospital that treated the child are being notified about the case, the Star Tribune reported. "While we had really great success and cooperation last year getting people vaccinated, since the outbreak we have returned to normal and vaccination rates have dropped off," Kris Ehresmann, R.N., M.P.H., infectious disease division director at the Minnesota Health Department, told the Star Tribune.